Genrefication of your school library or media center might just be the key to getting students to read more. When you organize the titles in a way that allows people to find books that interest them more easily, you increase the chance that a person will read, and maybe even finish, the books that they take out. In a school library, where there is an obvious interest in encouraging students to read, we should be doing everything we can to help them reach this goal. Genrefication is a system for organizing books by genre or type, as opposed to the traditional Dewey Decimal System. The Dewey Decimal method of organization puts most fiction in the same section, and then alphabetizes the titles by the name of the author. With this system, it’s fairly easy to find a book if you know the exact title and author. However, the odds of finding a book that interests you fortuitously are much lower. When you genrify a school library, students can easily look for the type of book they are interested in, and then they will be much more likely to read what they choose. How can I get my students to read more? The standard answer to that question is obviously book reports. However, anyone who has ever been a student knows how easy it is to cheat on a book report, either by getting the material somewhere else, or by simply watching the movie. If we want students to actually read the books they are writing about, we need to help them find the types of books that they won’t want to put down. Genrefication is one of the best ways to help students get to the books they will actually be interested in reading. How can I genrify my library or media center? Genrefication does take time, but it is well worth the efforts. The first step is deciding which categories you will include. Then you need to divide all of the books in your collection into the categories you chose. When you come across books that fit into multiple genres, you will have to choose which one is most suitable. Finally, you will need to create a system for color coding the various sections and making sure that each book is marked with the correct color. Those are the basic steps, but there are lots of extra things you can do to make this change even better. 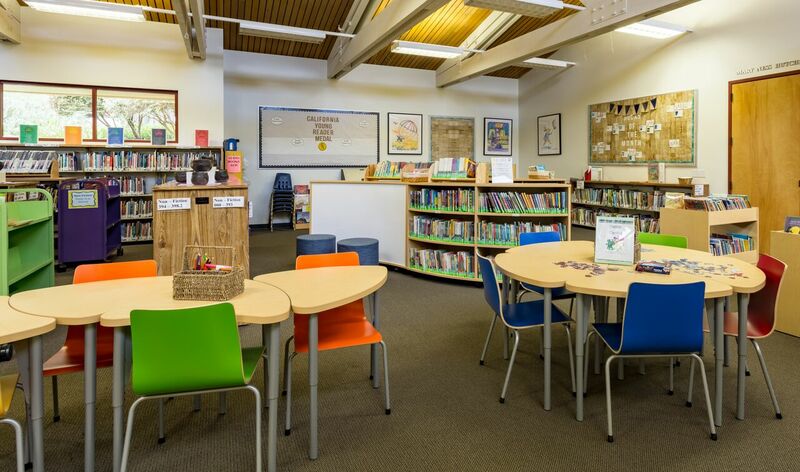 For example, you can make eye-catching signs for each section with a relevant picture, and feature different recommended books each week or month. Keep in mind that in order to accommodate this new system you may need to rearrange your library shelving. Updating your media center is always a good idea. Anything that is new will automatically get more attention, especially if it is attractive and user friendly. Even though media centers have a lot more digital material available these days, some people still do prefer to hold a book in their hands. Keeping the books organized in a logical and inviting way will help all students find titles of interest faster, even if they ultimately choose to read them on a e-reader. Genrefication is a big word that represents a novel idea. If you think about it, this is actually a fairly natural way of organizing books. Even young students will have an easier time finding books they like when book displaysare arranged according to categories. So what are you waiting for? Go ahead and genrify!